Berry Brothers and Rudd. Yep. I’m not too familiar with them. I know the name of course. But I couldn’t have told you much else. This tasting has come round quickly in March, however it was welcome respite from the nonsense of the day job. Berry Brothers and Rudd (established 1968!) are perhaps better known for their wine. They are Britains oldest wine and spirit merchant. They’ve been supplier to the Royal Family since the reign of King George III. They have a range of over 4,000 wines and spirits. 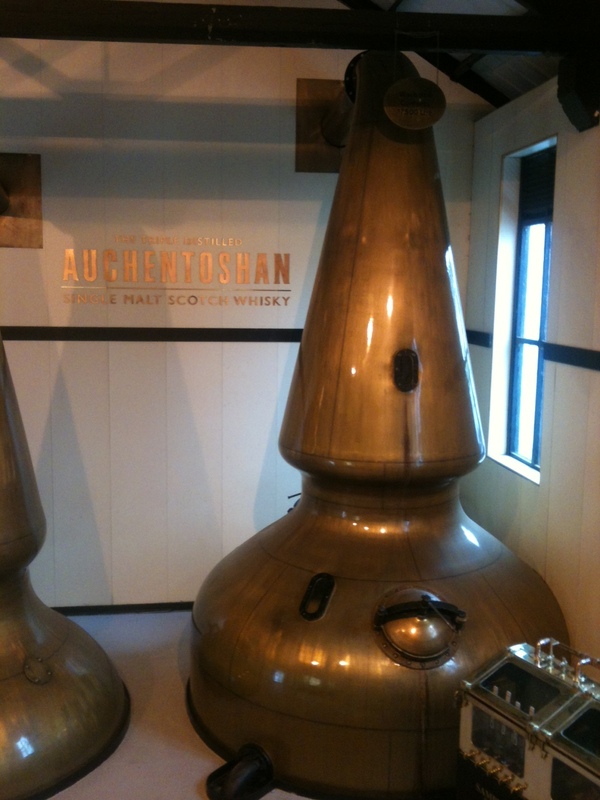 Auchentoshan Distillery. Worth the trip..? I was lucky enough to be in Glasgow for work this week (fantastic City) and managed to organise a trip to Auchentoshan. Not a whisky I am overly familiar with. Please to say, it was worth every effort. Just a 30 minute ride from Glasgow centre, the distillery feels it’s on the edge of Scotland – the City one side, and beyond… Scotland ‘proper’. I’ve been this way times before on the way to Islay, and the nearby Erskine bridge is what divides the beautiful countryside from the more familiar surroundings of bricks and mortar. Anyway, a traditional white distillery, but no coastal position as say Lagavulin or Bowmore. Once inside, it’s clear to see that the Morrison Bowmore Distillers money has helped: it’s very clean and structured – but no less inviting. Bottles are neatly displayed in the shop with individual spotlights for each, and the range of Auchentoshan, Bowmore and Glengarioch is proudly displaid. ..again, it’s been a while. Such things as children, work and so on seem to get in front of my whisky musings. Never mind.